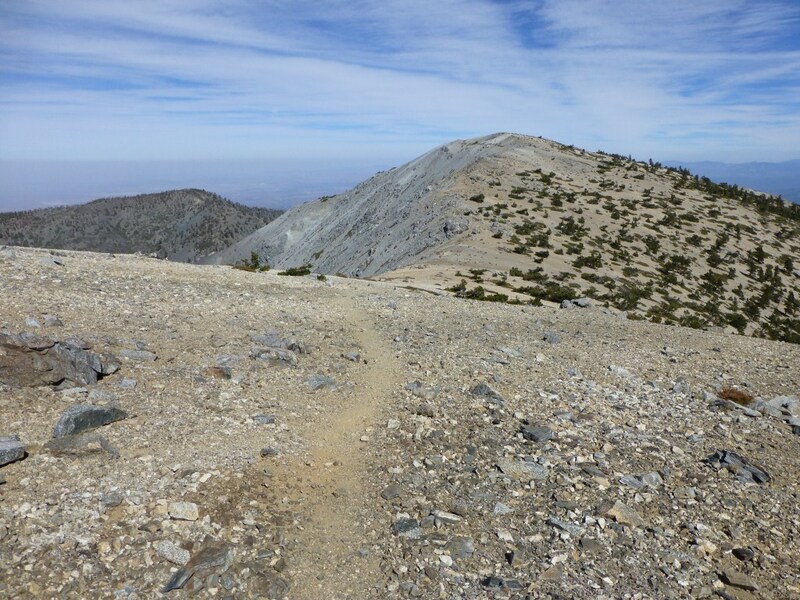 Stats: From Mt Baldy to Saddle: 0.3 miles, 225′ loss. 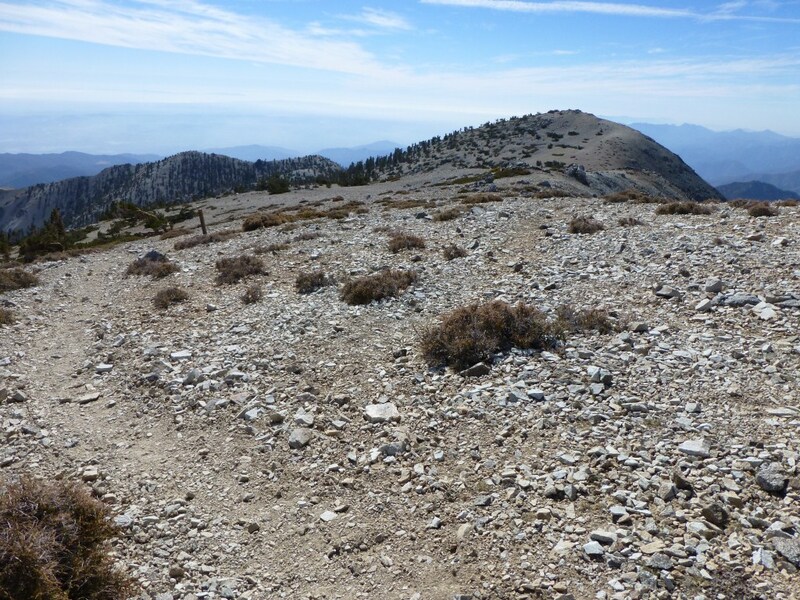 From Saddle to West Baldy: 0.25 miles, 150′ gain. Round Trip from Mt. Baldy to West Baldy back to Mt. 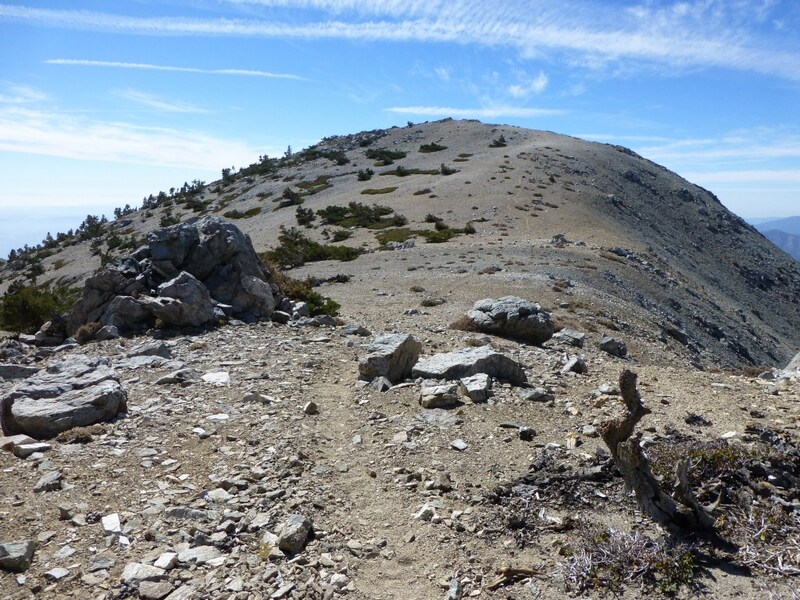 Baldy: 1.1 miles, 375′ gain and loss. From Mt Baldy, head south toward West Baldy and stay along the ridge line. There is a post (shown in the picture below) that you want to stay to the right of. If you miss the post, it’s not big deal. You will then be on the Old Baldy Trail heading down to the Visitors Center. Just go right anytime before reaching the saddle and head toward the ridge. 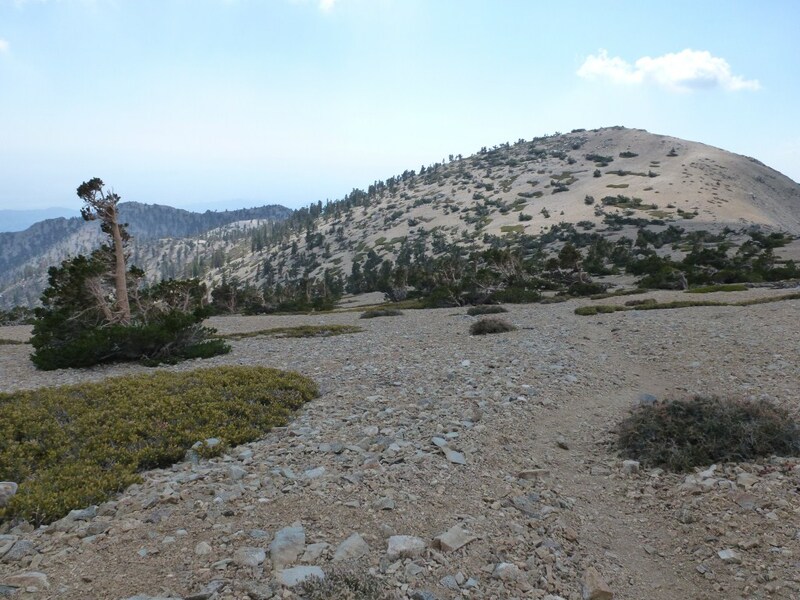 Close to the ridge you will find the West Baldy Trail. Trail heading south toward West Baldy. Head right toward ridge line. View along the Old Baldy Trail. Head right anytime before reaching the saddle. If coming up the Old Baldy Trail from the Visitors Center, turn left once you reach the saddle and head toward the ridge at an area that looks easy to traverse.